The vineyards and herb garden are open for self-guided tours with a map picked up from the Wine & Fine Food Store. Find out about the history of English wines, the varieties of grapes planted and how Chapel Down harnesses the English climate to its advantage as you walk the vineyards. 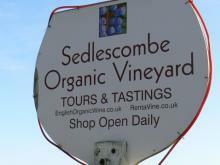 Tour the winery and finish with a tasting in the Wine & Fine Food shop. Includes all Chapel Down produce plus an extensive range of other British food and drink, including 30 cheeses, beers and ciders, handmade chocolates, cakes and preserves and smoked meat and fish. The Swan opened in May 2012, with a locally source English menu with "homemade treats". Take the time to enjoy a bite of lunch, perch at the bar, or bag one of the coveted spots on the terrace. 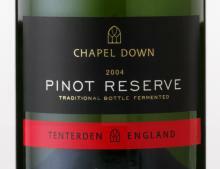 Chapel Down based in Tenterden Kent is one of the UK's longest established wineries and makes for a great day out. With its enchanting walled herb garden, extensive shop, in addition to its vineyards and wines, the little Kentish village of Tenterden has quite a draw in its midst. Underneath – because that's where it all begins – there's a chalk seam akin to that found underneath Champagne which holds the key to the wines' quality and success over the years. Six acres of vines were initially planted at this spot by English wine guru Stephen Skelton MW (check out his website www.englishsparklingwine.co.uk) in the late 1970s and, after a few changes of ownership, the vineyards became the heart of the Chapel Down empire. Pioneers of the drier style of wines, they were the first to "think big" for English wine, achieving a listing on British Airways in the 1990s, for example. Now the talented viticultural and winemaking team can call on nearly 500 acres of vines, grown and managed by them and other long-term suppliers. Bacchus – England's answer to Sauvignon Blanc and long a speciality, Bacchus has excelled in recent years, scooping three Golds and a trophy in the 2010 UKVA awards, and the ultimate accolade in 2011, the Wine of the Year trophy.